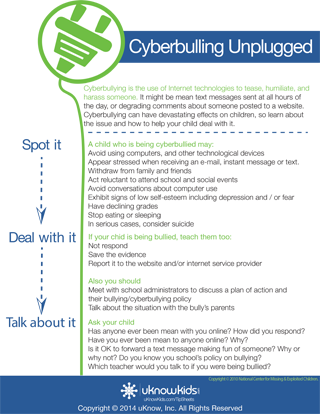 Cyberbullying is the use of Internet technologies to tease, humiliate, and harass someone. It might be mean text messages sent at all hours of the day, or degrading comments about someone posted to a website. Cyberbullying can have devastating effects on children, so learn about the issue and how to prevent cyberbullying from afflicting the lives of your kids.